Map It! 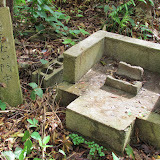 Okinawa: "The Nangusuku Castle Site Ruins in Nago City"
WELCOME TO MAP IT! OKINAWA. EXPLORE, CLICK, AND GO. "The Nangusuku Castle Site Ruins in Nago City"
The Nangusuku Castle Ruins is part of a much larger park known as the 'Nago Castle Site Park'. The ruins are collocated on the same mountainous region where they host the annual Nago Cherry Blossom Festival every January and February. English translated signs found near the site explain that the ruin grounds were residence to Nago Aji, once royal members of the Ryukyu Kingdom. Additionally research has shown that various artifacts excavated here have been said to have theirs origins traced to China and Korea giving belief that people first settled here around the 14th Century. Artifacts included Chinese ceramic pottery known as 'Kamwi-yaki' jars and Korean roof tiles and pots. Unlike many of the major castles found on Okinawa, the Nangusuku site does not have any stone walls. Instead, trench like defensive structures have been discovered at this site. When you first arrive near the ruin grounds, it is not quite clear where exactly are the ruins. Everything seems to have been modernized (meaning modern construction) with the exception of a few old sacred prayer sites scattered about. 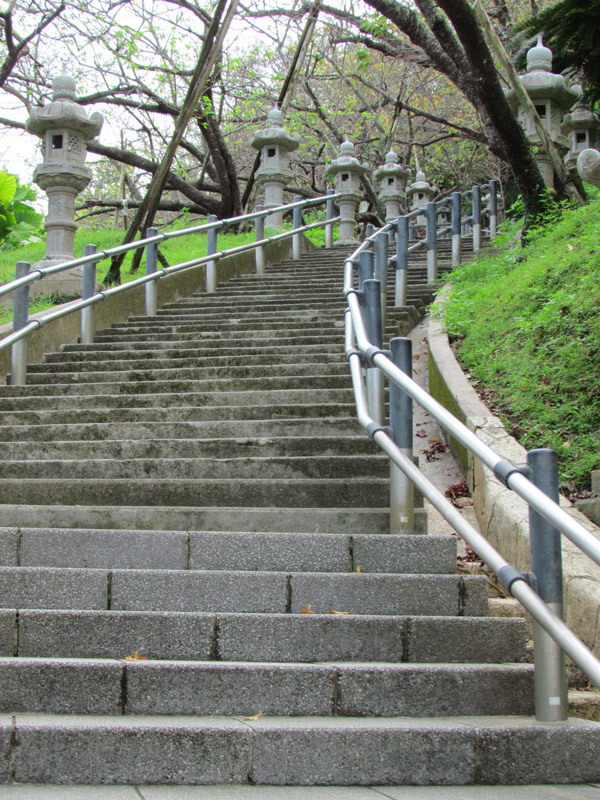 There is a shrine at the top of the steps. This too is built from modern construction. As you walk around you will see a network of trails and beaten paths, and paved roads. You will be tempted to walk around the entire park. As stated before, the ruin grounds is part of a much larger park. If you do wish to venture off, prepare to walk a lot. Most of it will be up or down hills. Location and Parking. Parking closest to the Nangusuku Castle Site is at the 'south entrance'. The Green Thumbtack icon you see above marks the base of the steps that lead up to the ruin site, and also marks one of the designated parking areas at the 'south entrance'. These landmarks are collocated near the end of Route 18 and the Nago Green Bridge. If you wish to visit the entire park and see other stuff and have no desire to walk long distances, then view the last picture in the photo-album. It a photo of a map board taken at the park. The 'south entrance' will be a the lower left hand corner. Downloading the photo will not give you a high resolution. Use Google's zoom tool already affixed to the photo album instead to see more details. This map board is also located at the Lower Creek Park caddy corner to the Nago Green Bridge (both near the south entrance). Note: Other photos of the park are included in the photo album in case you decide to visit other areas. What to bring. Water, mosquito repellant, good foot wear, umbrella for rain and knocking away spider webs, camera, hat or sweat rag (optional), Bento lunch (optional). Bathroom facilities. There are various bathroom facilities spread out through the park. Other places of interest nearby: Nago Green Bridge and the Lower Creek Park, Ato no Utaki (Kyoda), Giant Shisas (Kyoda), Water From Hands (Kyoda), Todoroki Waterfall, Nago Museum. Modeler's Core in Okinawa City. 11am-8pm (Closed Thursday). Ph# 098 933 1774. Open during Holidays. Click for Directions. Okinawa's Premiere Satellite Installation company specializing in home satellite installation and repair. Installing satellite TV for the military community around the globe since 1993. Call us at (098)936-3244. Hours of Operation, 10am - 8pm Daily, Including Holidays. 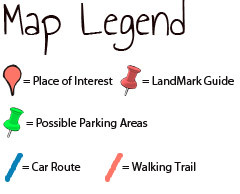 If you wish to advertise with Map It! Okinawa, contact us at info@mapitokinawa.com. Give us a try! See Alexa.com for current statistical information. Compare us with other Okinawa-based websites. We are #1 choice for Naha Airport parking service. SAVE MONEY compared to airport parking. Call to make reservations 098 891 8670 (English). We will meet you directly at the Naha Airport departure area outside (3rd level). Come visit us at King Tacos, Okinawa, Japan. Enjoy Okinawa's Famous Taco Rice Since 1984. Dine-in or Take it to go! Stop by today!. Come see us at the Gold Hall in Kin Town. Bonsai Garden, Cafe, & Cave. Adult Admission Coupon SmartPhone, Print Coupon. For Map Directions visit Map It! Okinawa. Tips for travelers, both here and abroad, with a twist of humor. See Okinawa and the Ryukyu way of life through the eyes of Ryukyu Mike at Mike's Ryukyu Gallery. ロック、ポップス、R&B等、幅広いジャンルの音楽を吸収し、Rideaの音楽として解き放つ。それは正に活きた本物の音楽. See Official Ridea Website. Spearpoint provides training so your organization is fully compliant with DoD mandated security certification requirements. START TODAY!. See current training schedule at www.spearpt.com. Go back to the past and see Okinawa. Amazing Post-war era photos of Okinawa and Okinawans as they rebuild from Great Okinawa War. Visit 'Remembering Okinawa' and see the past. Find various articles and links on Okinawa and the History of the Ryukyu Islands. Visit Click Okinawa Today! Enjoy 'Delicious' Sushi Today! We make it fresh and ready to go. CALL TODAY! 098 979 5425. Located in Chatan next to Highway 23. CLICK HERE FOR DIRECTIONS. "The Sueyoshi Shrine of Naha City"
"Iha-jo Castle Ruins of Ishikawa"
"Pineapple House in Naha City"
"Azama Port: Gateway to Kudaka Island"
"In the Beginning, ...there was Kudaka-Jima"
"Awase's God of Fire Utaki"
"Yomitan's Tucked Away Nature Trail"
"The Futenma Shrine and Cave"
"Melody Road - Futami, Nago City"
"R/C Paradise - (Now Kitanakagusuku)"
"Modelers Core Hobby Shop - Okinawa City"
"Himawari Matsuri (Sunflower Festival), Kitanakagusuku"
Alrights Reserved. Powered by Blogger.